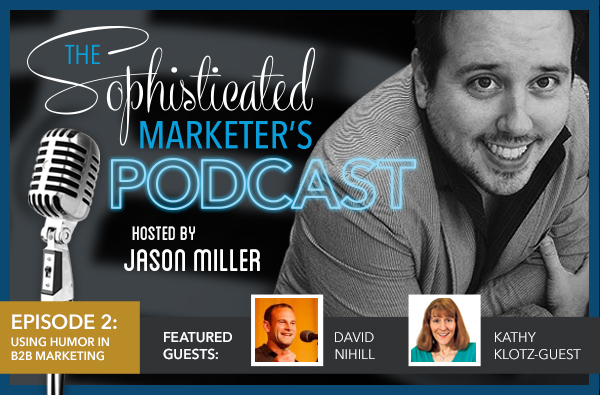 The Sophisticated Marketer’s Podcast is back in action with our second episode. In this episode, we’ll explore the benefits and risks of using humor as part of your B2B marketing strategy. This week, I’m joined by marketing comedians Kathy Klotz-Guest, and David Nihill. 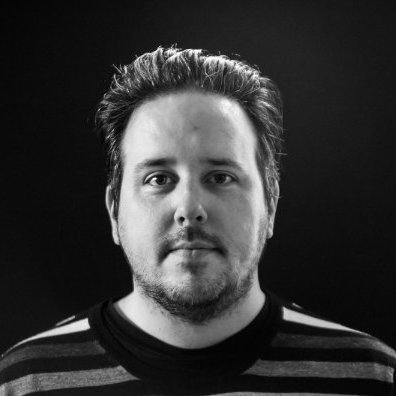 David is the founder of FunnyBizz, whose mission is to “abolish boring content”. He is also a best-selling author, columnist and has done more standup than most comedians. Don’t believe what David tells you, if he walks, talks and sounds like a comedian; he’s definitely a comedian. Kathy hails from Keeping it Human, and uses her comedy to create human-focused (not company-centered!) stories that audiences connect with and act on. Kathy is keen on pointing out the ridiculousness in many marketing expressions and strives to cut through the jargon and tell a really great story. Prepare your ears and listen to the podcast below to learn what the heck “jargonstipating” means, why Cookie Monster can help you better engage your audience, why I bring up One Direction, and whether or not comedians are sexier than musicians. Becoming Funny: Are you born with comedic chops, or do you earn them? Listen to the experts discuss the natural curiosity, skill honing, and intelligent methodology behind humor. The Importance of Humor: B2B marketing practitioners – listen up! Humor creates connections, increases engagement and helps you stand out from your competition. Even in more serious industries, a little laughing can go a long way. Learn how being disruptive can get people to like you, and how getting people to like you can help build brand affinity. Who's Getting it Right: Along with Optimizely, Zendesk and Caterpillar, learn who my guest experts think is doing funny the right way, and gain key insights from discussing their specific campaigns. How to Get Started: Charlie Chaplin’s advice still rings true today: To truly laugh, you have to be able to play with your pain. By telling stories about pain points your audience can relate to, you make it easy for them to “get the joke”. Taking Risks: There is a certain amount of expertise that goes into successfully creating a humor-laden marketing strategy, and there’s always the possibility of an idea falling flat. Learn how to best mitigate that risk by keeping your humor clean, on-brand, and well-tested. There are so many great discussions to be had about marketing, and I’m really excited to use The Sophisticated Marketer’s Podcast for facilitating those conversations. Be sure to download this second episode, and check out Episode 1: Content Marketing Before It Was Cool if you missed it. Subscribe to future installments below, and get ready to receive the freshest marketing insights from the brightest industry minds.